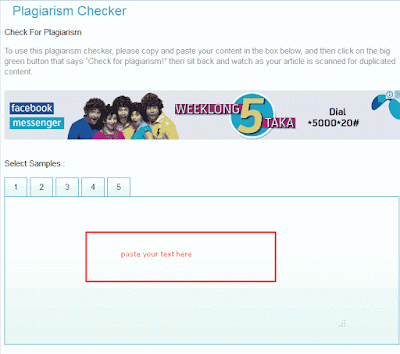 Plagiarism is the content that you copied from other sites is called plagiarism. 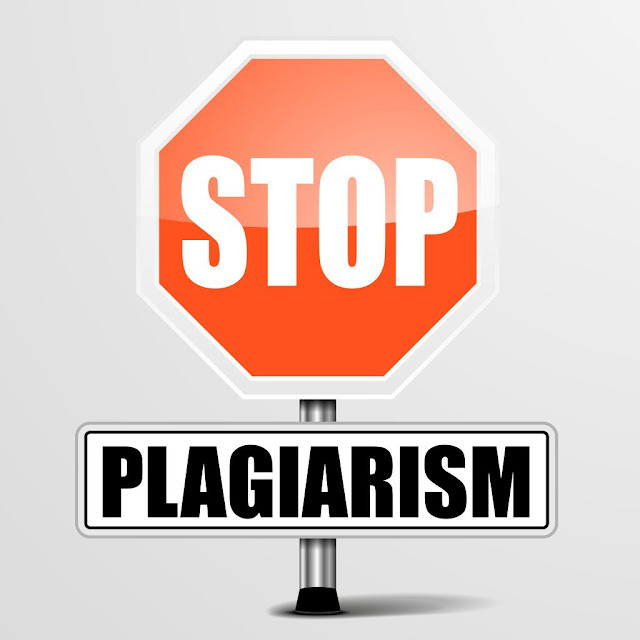 Plagiarism is an essay checker considered as an important tool for students, teachers, scholars and professional writers. It works on Windows, Android, BlackBerry, and The Web. It detects copyright infringement in your essay, research paper, coursework or dissertation. It supports Google, Yahoo, Babylon, Google.its totally check whether the content is unique or copied. 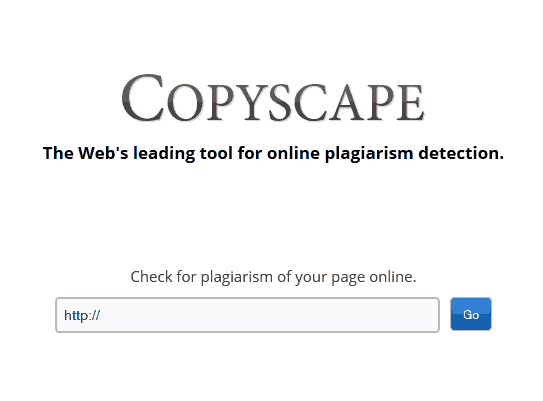 small SEO tool is most useable tools in the world most of the famous blogger is using this site Small SEO tools plagiarism is one of the most popular free SEO tools out there. This is a tool which I used from a long period of time and It gives you totally free services. 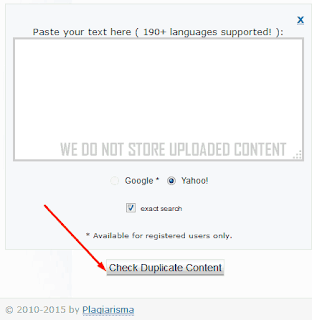 just go to small SEO tools/plagiarism and simply copy and paste your article into the box. 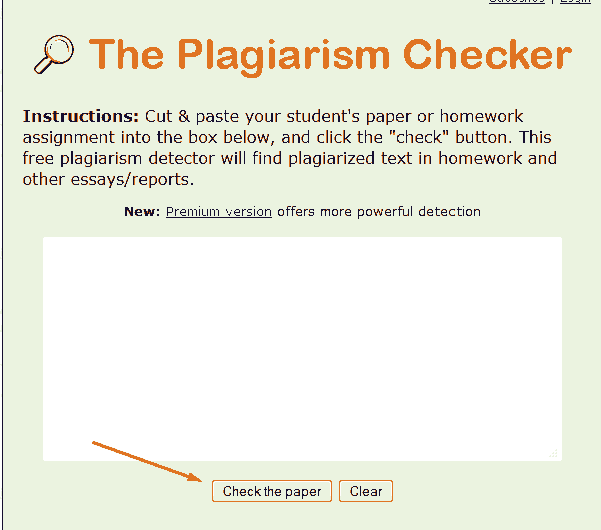 And check the security box and hit the check for plagiarism button. Paste your blog post URL which you want to check on the box and hit the Go button. 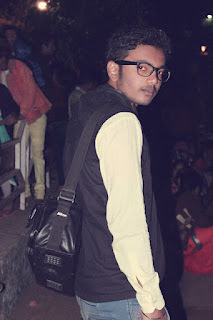 And see !! 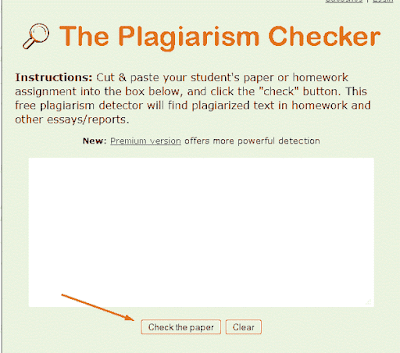 This is an amazing plagiarism checker tool as like small SEO tools. You can use it is also available for free or premium version. Just copy the content before published and paste it into the box and hit the check the paper button. 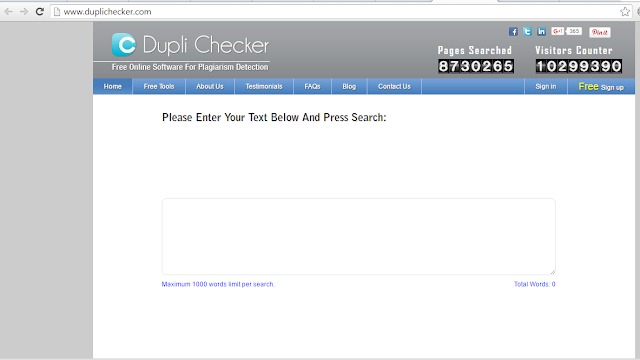 This is also great tools to check duplicate content. It will take a minute to give you the result of your content. Using it as like the above tools just paste your desired content which you like to check and click on check duplicate content. Simple !! It is totally free it is Extremely to use.register users perform 50 searches per day and an unregistered user performs 1 searches per day it is easy to use.